During the summer, when blueberries are at their peak, we love the idea of showcasing their sweetness in a pie. But who wants to spend the time rolling out pie dough when you can be at the beach or in the pool? Not us! 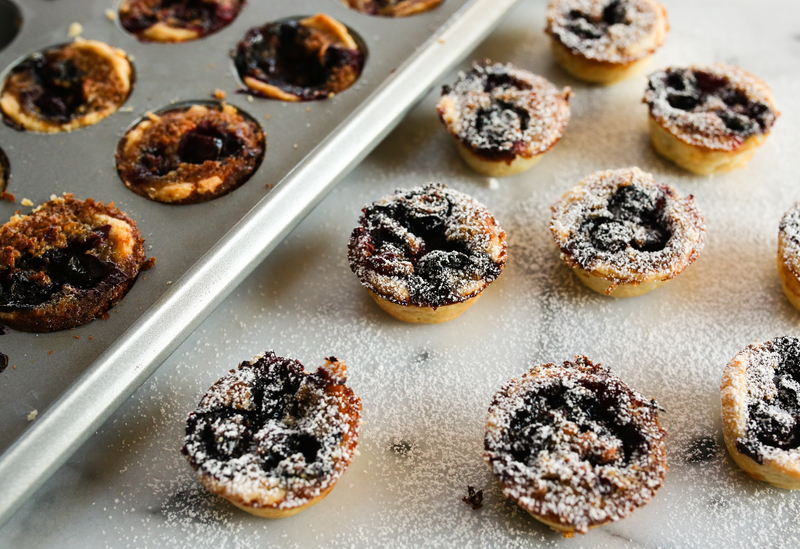 That's why we love these mini blueberry pies. Not only are they super delicious, but they come together so easily because there is no need to roll out the dough. 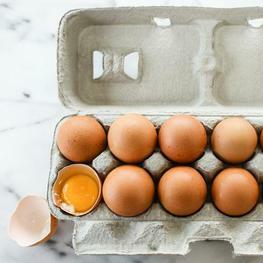 Just divide it into the cups of the mini-muffin pan and pinch it into place with your fingers. 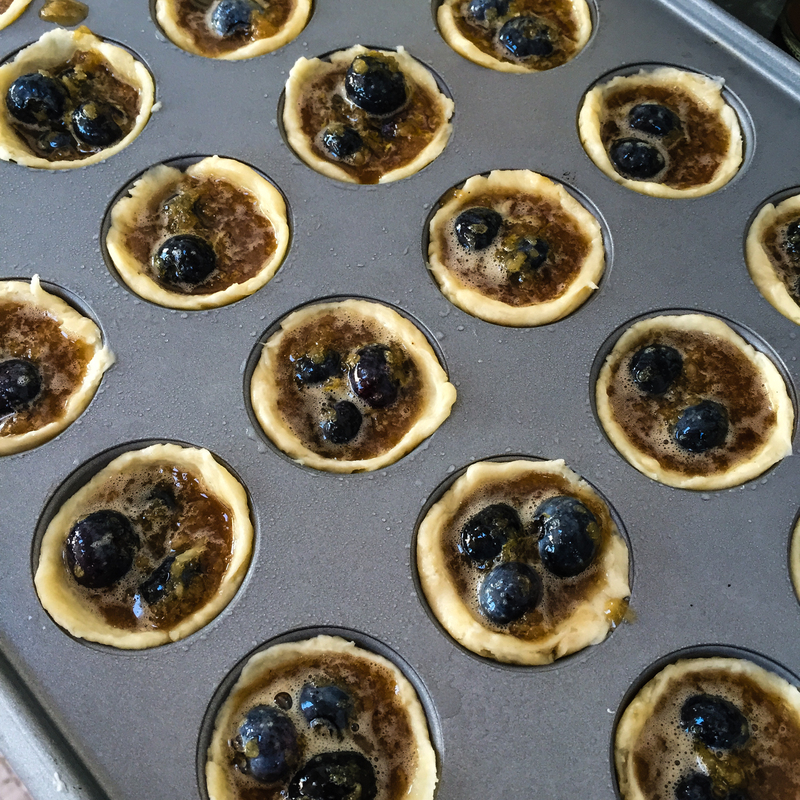 Mix together the filling ingredients, fill the crusts, throw the pan in the oven, and within 30 minutes, you'll have perfect, scrumptious mini blueberry pies. Feel free to substitute other berries in here as you wish - any berry will do! 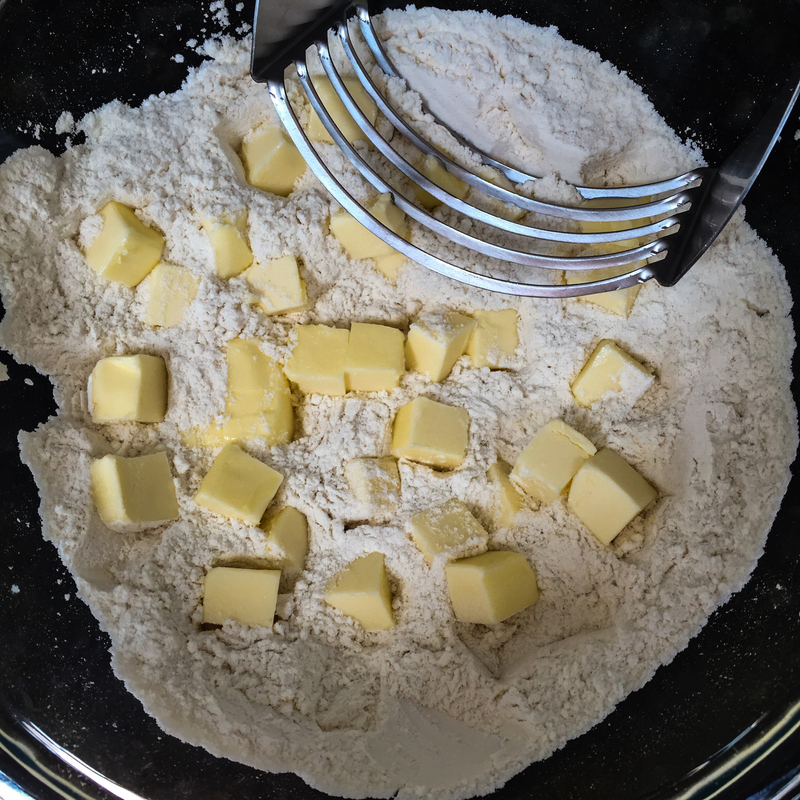 Separate the dough into 24 equal pieces (divide the dough disc in half, then each half in half two more times, then each of the 8 pieces into thirds). Roll each of the 24 pieces of dough into a ball and place in each cup of the pan. 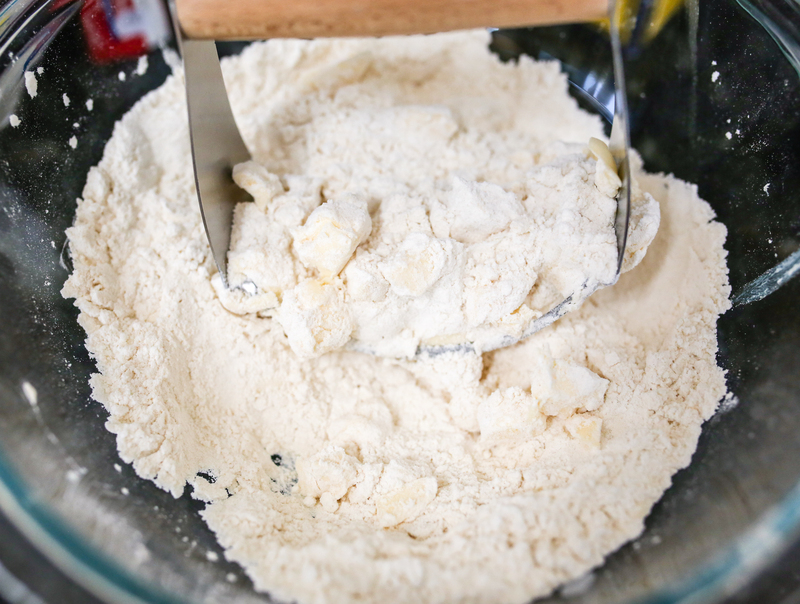 Use the back of a spoon to push the dough into the edges of each cup. Use your fingers to finish pushing the dough into place. The crust rim should come above the level of the pan. Place pan in freezer until crust is solid. Position a rack in the lower third of the oven and preheat oven to 400 degrees. Peel the apple and grate it on the small holes of a box grater. Stir the apple together with the blueberries, sugars, egg, arrowroot, allspice, cinnamon, salt, and zest in a medium bowl. 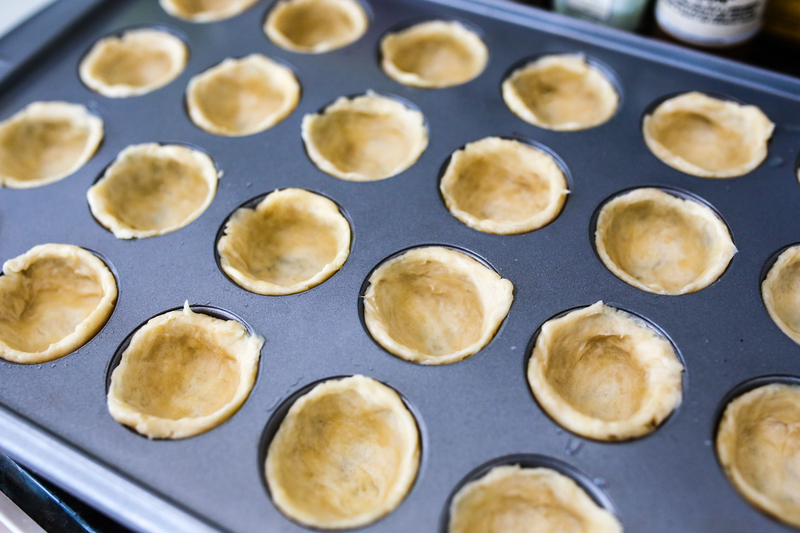 Place 1 tablespoon of filling into each of the frozen crust shells. Put pan in oven and bake until crust is golden brown and the filling is bubbling, about 30 minutes. Allow to cool completely on a wire rack, about 1 hour. Serve slightly warm or at room temperature. Dust with confectioners' sugar just before serving.